In the Delhi Budget 2018, Arvind Kejriwal-led Delhi government put education, health and environment on its top priorities. Finance Minister Manish Sisodia tabled the budget of Rs 53,000 crore for the national capital on Thursday 22 March. Sisodia said the total budget was of Rs 53,000 crore in 2018-2019 while in 2014-15 the budget was Rs 30, 940 crore and Rs 26,402 in 2011-12. Delhi’s Finance Minister Manish Sisodia, this year, also tabled the status report of the Outcome Budget 2017-18 that he had presented last year. In the status report, the AAP government scored 73 for itself. The status report was tabled in the Assembly on Wednesday. The government is spending more than 25 per cent budget in the education sector. The government has increased the budget allocation for education this year. Last year, the budget allocation for education was 23 per cent of the total budget. The total allocation for education sector stands at 13,997 crore. The government would spend Rs 5 lakh for school managing committees to strengthen libraries, arts and education. Rs 10 have been allocated for self defence training for students while Rs 15 crore has been allocated for school ranking to be done by Delhi Commission for Protection of Child Rights. And for sports, Rs 20 crore has been allocated. School teachers would be given tablet computers to keep the record of attendance. Moreover, around 200-250 cameras will be installed to live-stream the classes so that the parents can watch their children. The government announced to run electric buses on the roads of national capital by March 2019. The government announced various sops to encourage the well-being of the environment. The Delhi government announced concession in registration of CNG cars. While presenting the budget, Deputy Chief Minister Manish Sisodia said “We are going to thread 26 programmes and schemes of Transport, Power, Environment and PWD departments for devising a unified system of pollution control to bring down levels of different pollutants." Sisodia also declared that 50 per cent concession will be given in registration of CNG cars and solar panels will be installed over 16 km cycle track. There is also subsidy for restaurants who will use electricity or gas-based tandoors. More than Rs 6,700 crore has been allocated for health sector. The government is focusing on mohalla clinics. 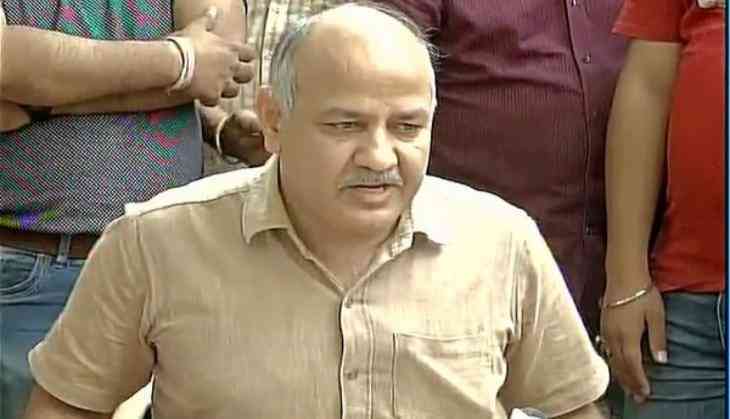 "Around 80 lakh people have used mohalla clinics so far," Sisodia said. The AAP government has allocated Rs 403 crore for mohalla clinics and polyclinics in 2018-2019 and Rs 20 crore for free diagnostic tests. Sisodia also announced that Rogi Kalyan Samitis to be formed in all constituencies. The government allocated Rs15 crore for mobile van clinics and Rs 53 crore for scheme to send senior citizens on pilgrimages. The government will also install CCTV cameras in all Anganwadi centres. The government announced Rs 1, 833 crore for welfare of disadvantaged groups, SC, ST, OBC and Rs 1 crore allocated for anti-alcohol and drugs programme. “"As there are no bulk meters, we don't know where the water goes. For the first time, bulk meters would be installed at water treatment plants, underground reservoirs and primary and secondary points so people can know how much water goes to their colony," Sisodia said.